Got a sweet tooth? Love cupcakes? Need a cake or chocolates for a special occasion? 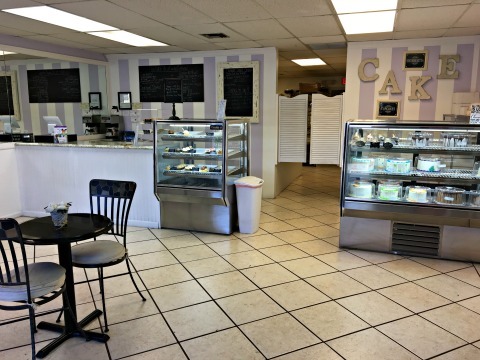 Look no further than these Cape Coral bakeries and chocolate shops. 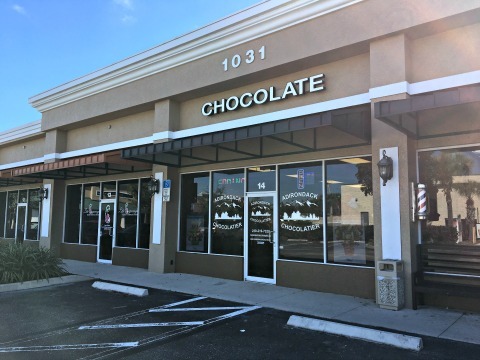 You don't have to go Ft Myers anymore, Cape Coral can now boast 4 different chocolatiers ....... and several bakery shops featuring goodies inspired by the cooking from Germany, Cuba, and the good old USA. 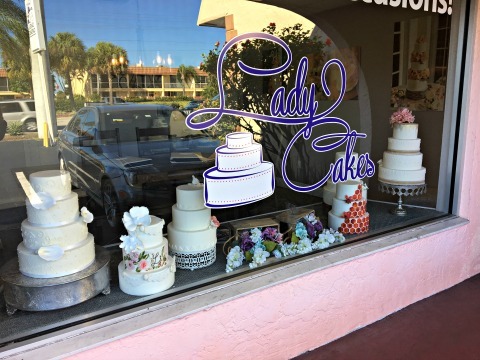 The first of the Cape Coral bakeries that I like is Lady Cakes. They specialize in cupcakes, cookies, brownies, cakes, and custom cakes. 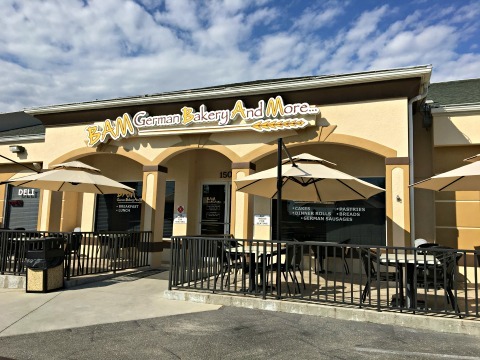 They've been voted the Best Bakery in Cape Coral for 2 years in a row! Everything is baked fresh daily. I tried their signature cupcake, the Salted Caramel Pretzel, and it was delicious! 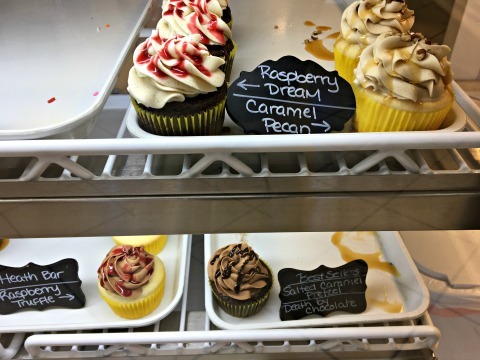 Daily cupcakes are: Salted Caramel, Death by Chocolate, and Birthday Cake. During the week, 9-11 other flavors are featured. For Monday and Tuesday: Keylime, Cookie Dough, Lemon Blueberry, and more. For Tuesday and Wednesday: Pineapple Upside Down, Heath Bar, and Raspberry Truffle, plus more. For Friday and Saturday: Lemon Lime, Nutella, Caramel Mocha, etc ...... and for Saturday only .... Maple Bacon. Get there early ............. they tend to sell out by mid-afternoon! You'll also find brownies, sandwich cookies, and chocolate chip cookies. Custom sugar cookies can be ordered for special occasions. 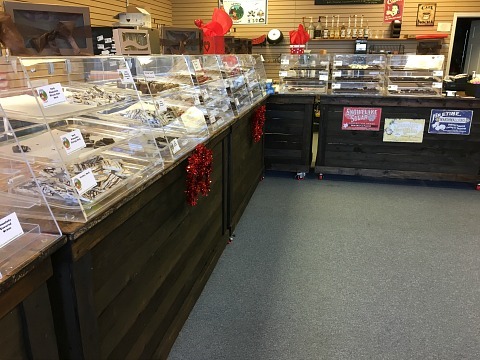 You can choose from a dozen different flavors for the custom cakes, including 3 gluten-free options ........ and there are over 30 flavors to choose for the buttercream frosting. They are open Monday - Saturday from 9AM-5PM. 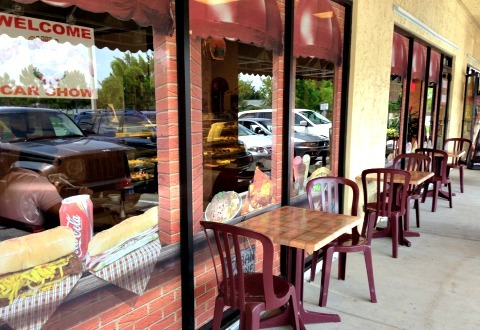 While you're in Cape Coral, you must try the pastries, called pastelitos, at Casa Rojas, a Cuban bakery on Pine Island Rd. They are delicious! We sampled crispy turnovers filled with cream cheese and guava, and with coconut. We also had our favorite ....... a pastry we call elephant ears. I also had to buy their cone-shaped cakes that are soaked with honey. 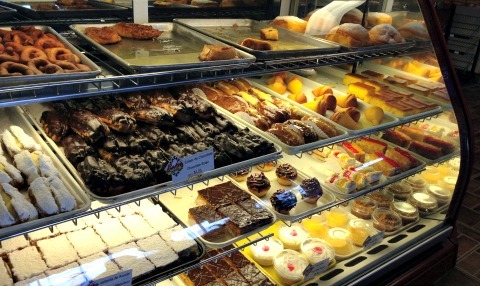 They serve many other kinds of pastries both sweet and savory along with cookies, bread, crackers, flans, puddings, and the best Cuban sandwiches ....... which are huge! You'll need to share or save half for your next meal. You can get Cuban specialties such as empanadas, Ropa Vieja, croquettes, Cuban hamburgers, roast pork, rice and beans, fruit milkshakes, and Cuban espresso. They are open Monday - Saturday from 6AM-6PM, and Sunday from 8AM-2PM. Also known as BAM, for Bakery and More, this bake shop and restaurant features bread, rolls, pastries, tortes, pretzels, muffins, and deli. I tried one of their raspberry muffins, I thought it was very good! Grab a sweet, or stay for a meal ......... you can sit inside or outside on the front patio. 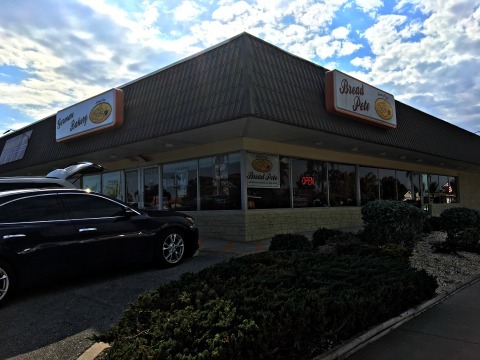 For breakfast, they serve eggs, omelettes, waffles, french toast, stuffed croissants, and skillets. 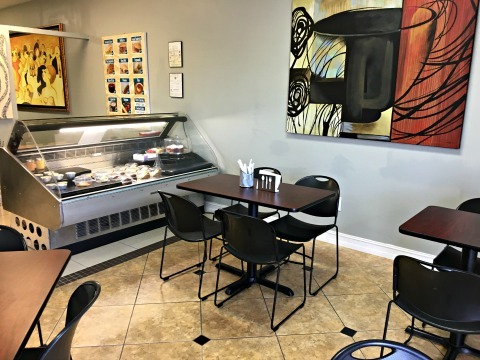 For lunch, you can enjoy soups, salads, sandwiches, wraps, burgers, and German specialties. They're open Monday - Friday 7AM-5PM, and Saturday 7AM-4PM. Bread Pete is also a bakery plus more. 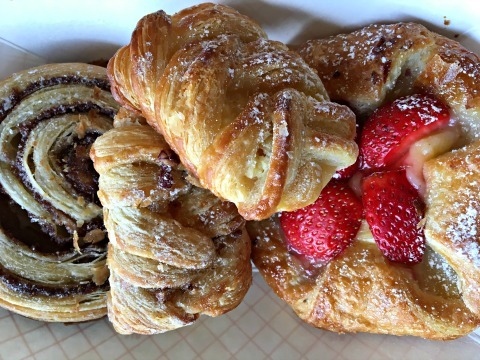 Get fresh bread, pastries, cake, croissants, and pretzels ........... and go for breakfast or lunch. 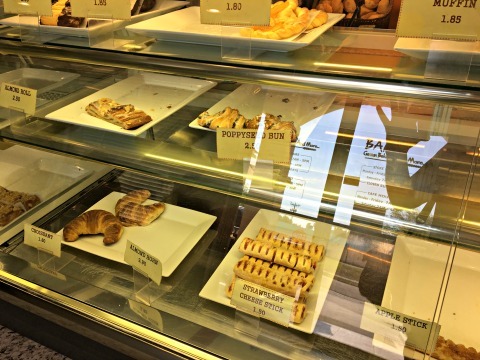 The menu has a German influence along with egg dishes, sandwiches .... and of course, the pastries. You've got to try them ....... they were light, flaky, and full of melt-in-your-mouth deliciousness! I really liked how I could taste flavors of the fruit, creme, and spices and not just sugar. I hope to go back soon to try the breads and maybe even breakfast or lunch. They are open Monday - Friday 7AM-4PM. Saturday 8AM-3PM, and Sunday 8AM-12PM. 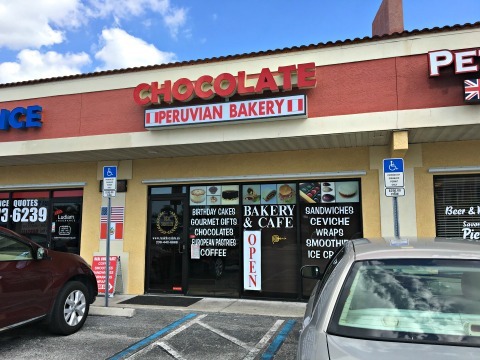 Real Chocolate is a Peruvian bakery and cafe open for breakfast and lunch. 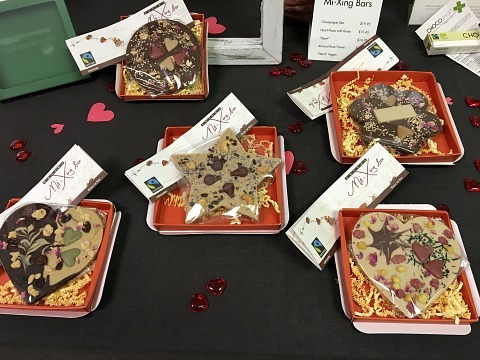 You'll find artisan bonbons made from chocolate, fruit and/or nuts, cake, and cookies such as macaroons and the amazing Dulce de Leche sandwich cookies .......... make sure you try some, they're amazing! Their bonbons, or chocolate truffles, were also good ...... my favorite was the Dulce de Leche. Try the Chocolate Mousse, Coffee Praline, and Lucuma, made from a nutritious Peruvian fruit. 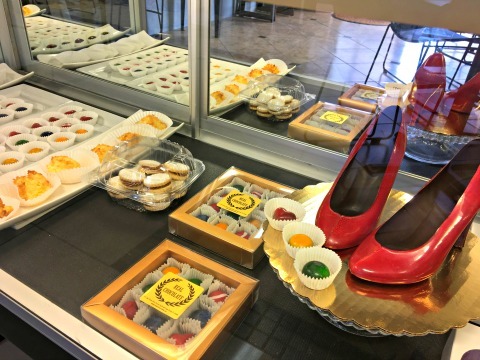 The high heel shoes in the case are also made from chocolate! For breakfast, you can order egg sandwiches or the Peruvain Desayuno Lurin platter. For lunch, there is Ceviche, salad, and several Peruvian style sandwiches: Chicharron Pork, Butifarra, Pork, Asado Beef, Peruvian Tamales, Empanadas, and more. 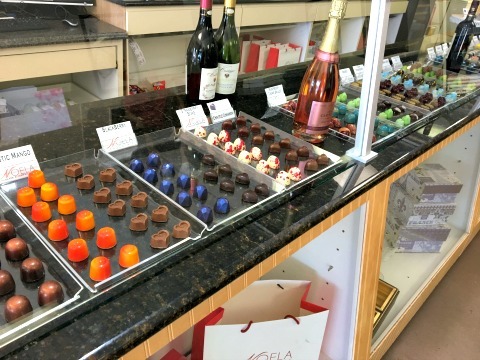 Wow, wow, wow .......... you are missing out if you don't go to Noela Chocolate & Confections! Delicious truffles, chocolate bark, and humongous brownies are handcrafted with the finest ingredients and made in small batches to ensure freshness. Every piece of confection is a work of art for your eyes and for your taste buds .......... 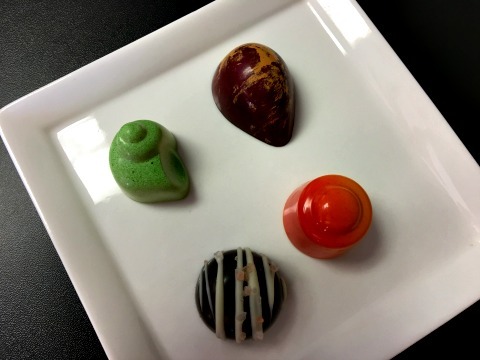 I tried their Mystic Mango, Raspberry Creme Brulee, Key Lime, and Sea Salt Soft Caramel truffles ....................... mmmmmmmmm. 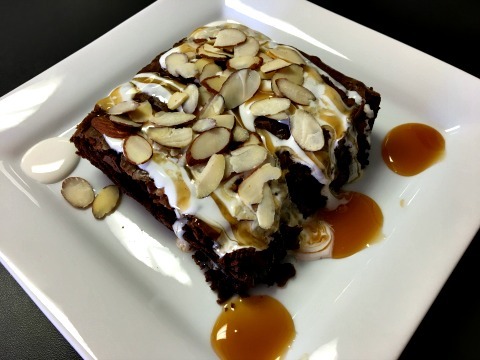 The brownies are enough for 2 people and are "bedazzled" with caramel and marshmallow creme, and nuts if you want ......... I told them to "bring it on"! It's the perfect dessert to grab and take to Yacht Club Beach for a treat on the beach or at the pier after dinner. Try their chocolate turtles, bars, curvy bars, and bark ..... 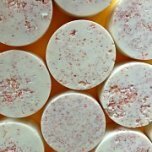 I loved the Dark Peppermint Chocolate Bark! 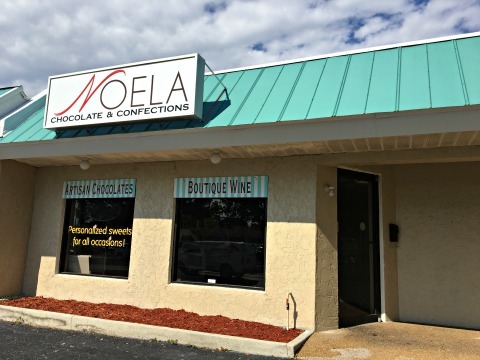 Noela also has chocolate bacon, cocoa shots, chocolate strawberries, gourmet popcorn, and fine wines. Think of them for wedding and party favor chocolates, or even custom logo chocolates for corporate branding and events. 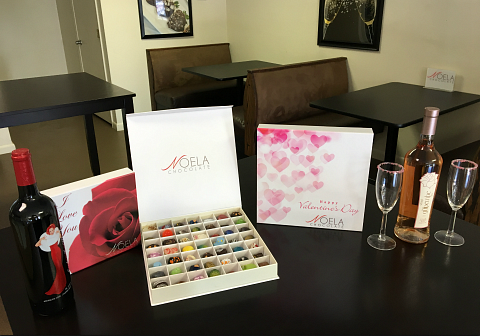 When buying your valentine a gift, you can buy chocolates in boxes and wine in bottles that Noela can custom design for you. 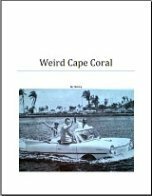 Noela would be happy to deliver locally and ship nationally their confections to your gift recipients ....... send your loved ones a very tasty piece of Cape Coral! 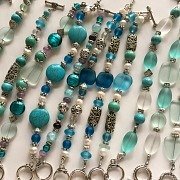 Their shop and factory are at their SE 47th Terrace location, the shop is open Monday - Saturday from 10:30AM-9PM. 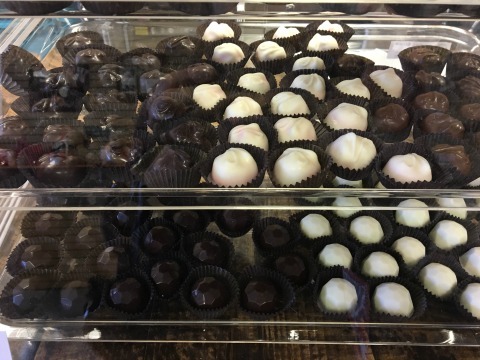 Adirondack Chocolatier features gourmet handmade chocolate: truffles, bark, turtles, English toffees, fudge, caramels, chocolate candies, and chocolate-covered bacon, fruit, nuts, lollipops, cookies, candy bars, espresso beans, and pretzels. 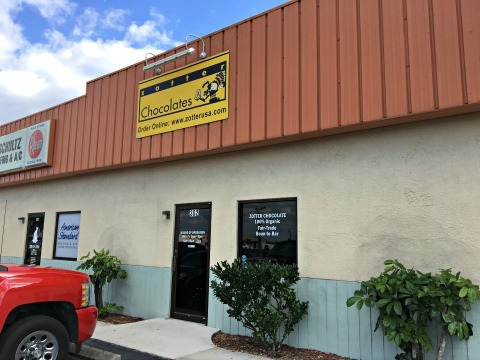 UPDATE September 2017: Adirondack has closed its Cape Coral location, you can still buy their chocolates in Ft Myers at 2269 First Street, in the Arcade building. 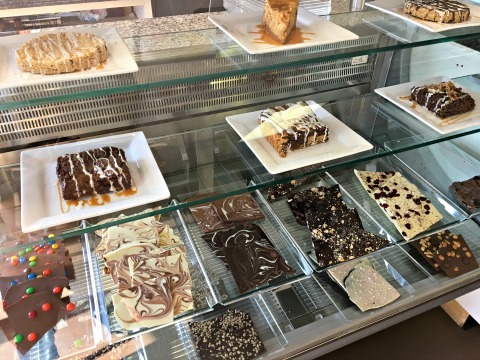 It was hard to choose, but I got Oreo Bark, Bacon Bark, Orange Truffles, Key Lime Truffles, Sea Salt Caramels, and English Toffee. Yummy yum .... 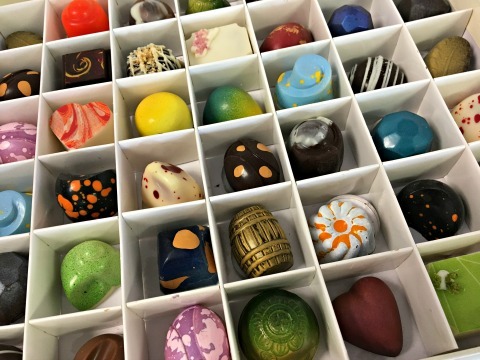 I think my favorites were the Sea Salt Caramel, the English Toffee and the Orange Truffle ..... I want to go back and try their turtles! The bacon chocolate bark had a very interesting combination of flavors ........ definitely a must-try. 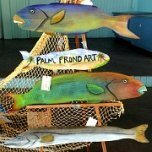 Adirondack is open Monday - Saturday from 9AM-7PM. 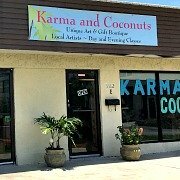 Their Ft Myers location is in the old arcade at 2269 First Street, they also have a coffee shop there. 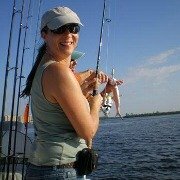 Visit Adirondack's online store for shipping. 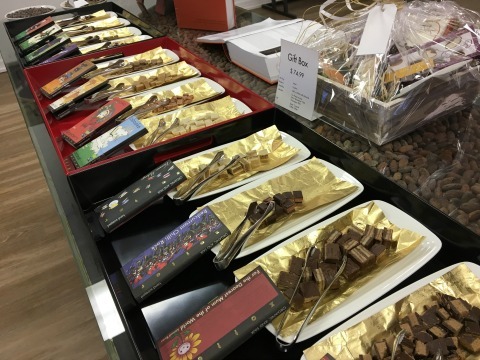 Cape Coral is fortunate to be the first USA location for the high-class world-known Austrian chocolatier Zotter Chocolates. 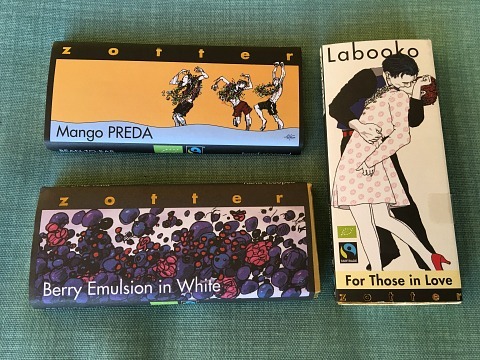 I love Zotter's chocolate bars! They are lower in sugar so you can taste the flavors of the chocolate and fillings ....... their bars are to be savored, let them slowly melt on your tongue. Their Berry Emulsion in White is one of the best chocolate bars I've ever tasted. Only the highest quality ingredients are used , their chocolate bars are 100% organic, ingredients are purchased from fair-trade cocoa growers. Everything is made bean-to-bar, that is, Zotter processes their chocolate in-house from cocoa bean purchases to the end result. Even the labels are pieces of artwork, some people collect the wrappers that are designed by artist Andres Gratze. 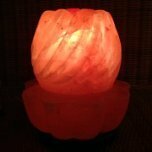 Specialty chocolates are made for holidays and occasions such as Valentines Day. 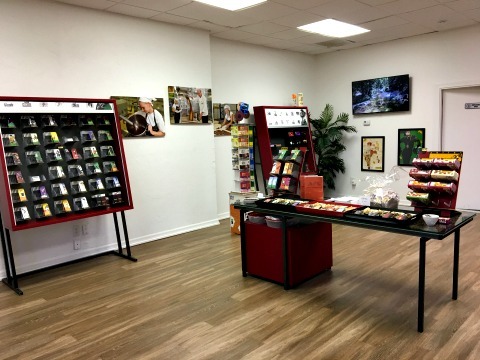 Come to Zotter's showroom to try samples and purchase their awesome chocolates. They are open Monday - Friday from 5-8PM, and Saturday from 10AM-2PM.